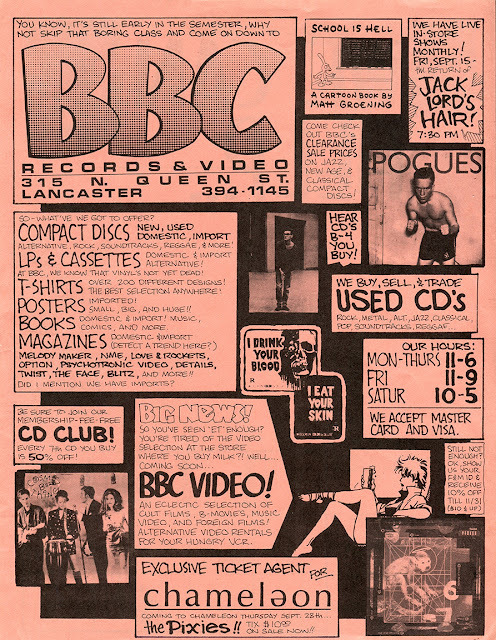 While thinning out the archives, I found this flyer (geared towards the students of local Franklin & Marshall College) from BBC Records, the independent store I managed from 1988 to 2006. Hey, look, vinyl's not dead yet! And the Pixies are coming to town!